Articles tagged "The Physick Book of Deliverance Dane"
Macmillan hits the June 2015 LibraryReads list! FANTASTIC NEWS! Macmillan has TWO terrific books on the June 2015 LibraryReads list! Available from St. Martin’s Press and Macmillan Audio on June 23. 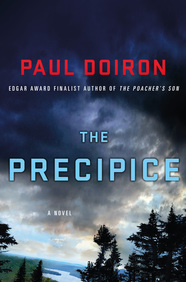 @MacmillanLib @pauldoiron Loved THE PRECIPICE! Fast-paced but worth slowing down to enjoy the fiercely beautiful landscape. Available from Minotaur Books and Macmillan Audio on June 16. 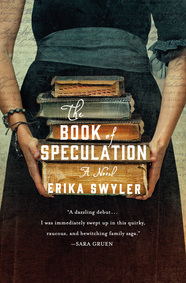 Last week’s Maximum Shelf Awareness featured a first novel near and dear to our hearts (and librarians’ hearts): THE BOOK OF SPECULATION by Erika Swyler. One June day, an old book arrives on Simon’s doorstep. Fragile and water damaged, the book is a log from the owner of a traveling carnival in the 1700s, who reports strange and magical things—including the drowning death of a circus mermaid. Since then, generations of “mermaids” in Simon’s family have drowned—always on July 24, which is only weeks away. As his friend Alice looks on with alarm, Simon becomes increasingly worried about his sister. Could there be a curse on Simon’s family? What does it have to do with the book, and can he stop it in time to save Enola?